We're very excited to reveal our brand-new website; built to bring your online experience in line with our industry-leading customer service. We pride ourselves on making it as easy as possible for all our customers to buy our quality products, so we've developed this site with our customer at the centre. We listened when you said you want seamless search functionality, easier to find promotions and a simpler navigation system and this is what we've set out to fulfil. Our new search bar is an enhanced smart search, as you type a query it will suggest products that you may be looking for, and it can handle spelling errors. We have reduced the number of categories at top level to make it easier and quicker for you to find what you are looking for. Our services information is also much more prominent on the page and therefore it is easier to find the assistance you need for your job or order. We have added faceted search to our category level pages to enable you to find the best product to suit your specific project. Our new product page layout makes the additional information you need easier to find and it is therefore quicker for you to place your order. You can view your order history and shipping details as you can on the current website, but you now have the ability to view and amend delivery addresses, add wish lists and amend your delivery restriction information. Each main account holder can now create and manage co-users of their account online. How can I start using the new website? 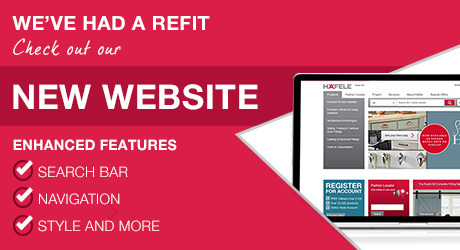 It’s easy, simply click on the login link in the top right hand corner and enter your normal login details. You will have full access to your account straight away. If you are finding that your login details aren’t being accepted, please try logging in as a co-user by ticking the ‘Sign in as co-user’ box at the top of the Sign in/Register screen. This will ask for your account number, user name and password. If you are still having issues, please contact us directly using the Live Chat link at the top-right of the page. Where can I find my wish lists? All wish lists have been transferred to the new website and are located within the 'my account' section. Where are all of my saved addresses? Your address book can be managed through the My Account section of the site. Where can I report any issues I am having with the new site? Please use the Live Chat link in the top-right of the page where your query will be dealt with quickly and efficiently.